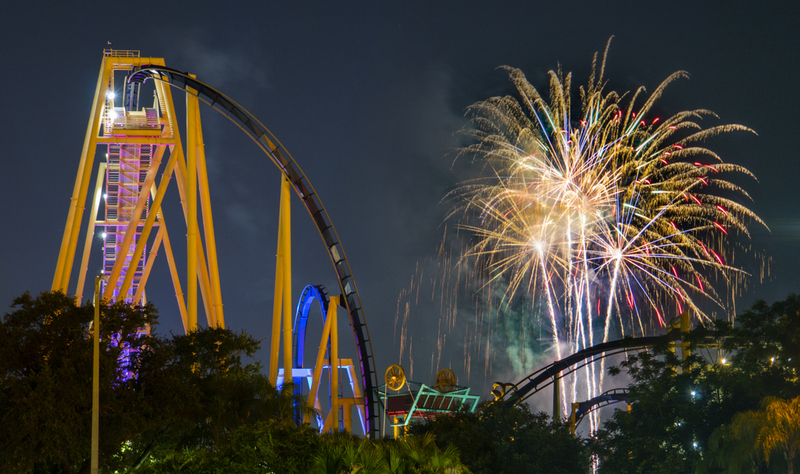 This Independence Day, families can celebrate summer with world-class coasters, live entertainment and an incredible extended fireworks show at Busch Gardens Tampa Bay on Wednesday, July 4. In addition to dancing the night away at one of the Summer Nights party zones, guests can celebrate the Fourth of July by taking on Florida’s top thrill rides, including the fan-favorite family spin coaster Cobra’s Curse. For the Fourth of July, the park will be open from 10:00 A.M. to 11:00 P.M. including the following festive activities in Gwazi Park – opening to guests at 7:45 P.M. Wednesday evening. Based out of Tampa, independent pop/rock band Actual Bank Robbers is comprised of musicians who met working at an amusement park. The band will perform on the Gwazi Park main-stage and will also host a LIVE Summer Nights Dance Challenge! The A Cappella Bay Show Chorus will be performing “The Star Spangled Banner” prior to the fireworks display. This award-winning group will kick off the fireworks by paying homage to our nation. Finish the day with an electrifying, extended fireworks show that will illuminate the sky with a patriotic medley in celebration of Independence Day! Through July 4, 2018 members of our armed forces can receive complimentary admission for themselves and three guests. These tickets must be redeemed at WavesofHonor.com and are not available at the front gate. Don’t forget, free beer is back at Busch Gardens Tampa Bay! For the duration of Summer Nights, guests age 21 and older can enjoy two complimentary beer samples from the Garden Gate Café each time they visit the park. Throughout the summer, new featured brews will provide the perfect accompaniment to take on the night. Valid identification is required for age verification.